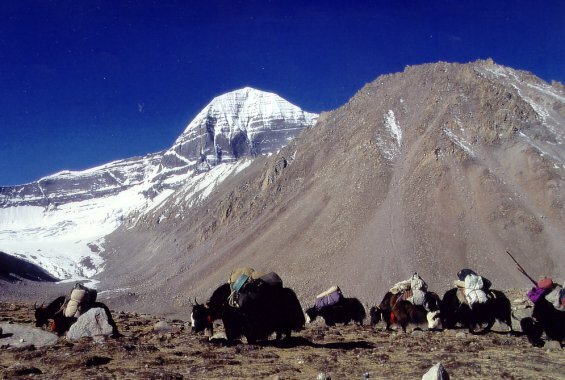 Mount Kailash is revered as a sacred place by millions of people in Asia. Kailash means "the luminous crystal" in Sanskrit; the Tibetans call it “Kang Rinpoche”, "precious jewel of eternal snow". 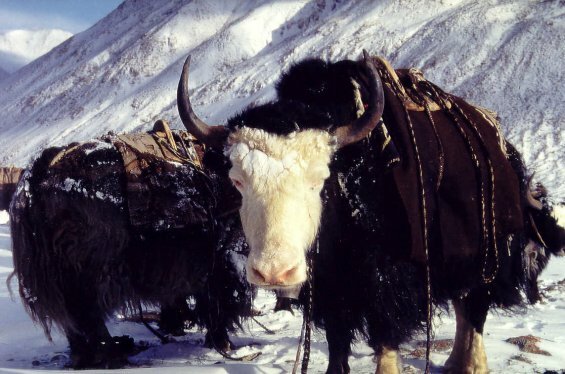 It is about 6.600 meters high and is located in western Tibet (Ngari) near the Indian and Nepalese border. The surrounding scenic beauty is extremely impressive. 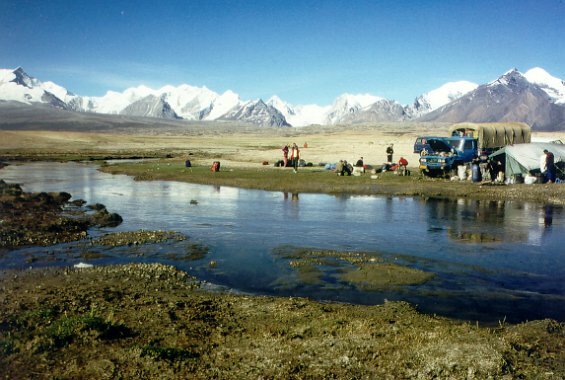 Mount Kailash lies near the source of the rivers Indus, Sutlej, Karnali and Tsang Po (Brahmaputra), which flow in the four cardinal directions. Particularly noteworthy is its exceptionally symmetric shape - resembling a pyramid capped with eternal snow. However, the reason that Hindus, Buddhists, Jains and followers of Bon religion regard it as the holiest mountain in the world is not because of its height or location. According to its mythological meanings, it is an embodiment of Mt. Meru, centre of the Earth and the centre of the universe. The image of the mythical Mt. Meru has spread to Angkor Wat (Cambodia) and Borobudur (Indonesia). 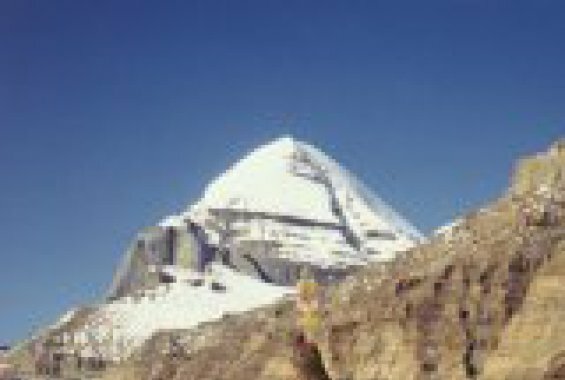 For Hindus, Mount Kailash is the paradise, abode of Lord Shiva and his wife Parvati. 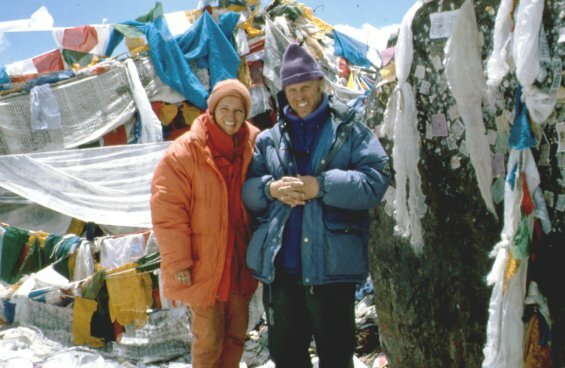 For Tibetan Buddhists, the summit of Kailash is home to Demchog and his consort Dorje Phagmo, both significant protective deities in the Tibetan Buddhist pantheon. 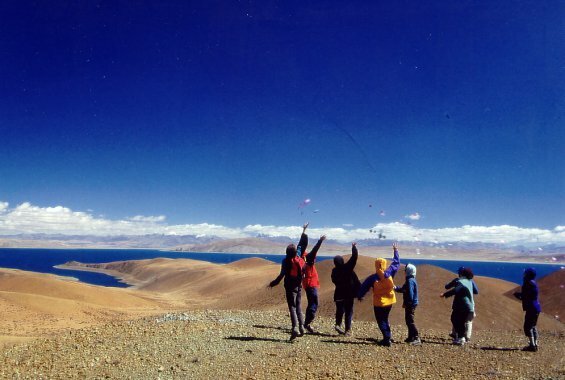 Mount Kailash and lake Manasarovar are situated in one of the most remote regions of the world. 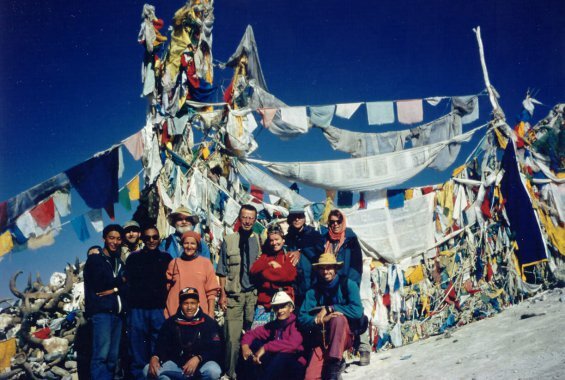 Because of the immense difficulties in reaching this area, only a few travellers have been there. One of the first Western travellers was the Swedish explorer Sven Hedin in 1904. Lama Anagarika Govinda has described his own pilgrimage in 1946 in his very impressive book "The Way of the White Clouds". 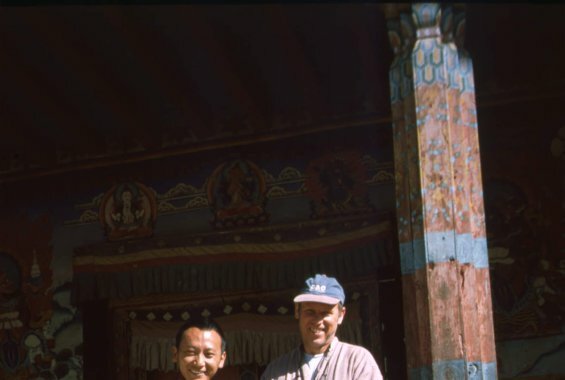 The area was slowly opened up to tourism in 1984, but still very few Westerners have circled the mountain. 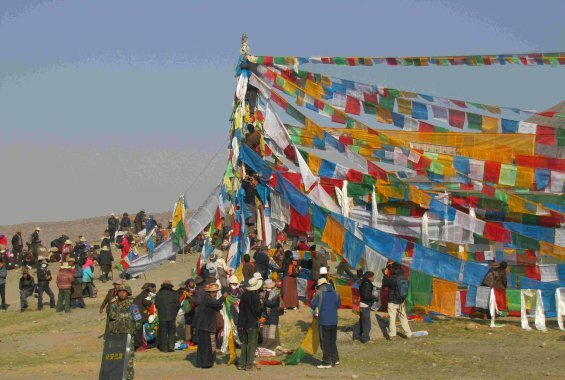 Guge kingdom in Tsaparang, as well as participating in the large full moon pilgrimage festival at the foot of the holy mountain (Sakha Dawa). 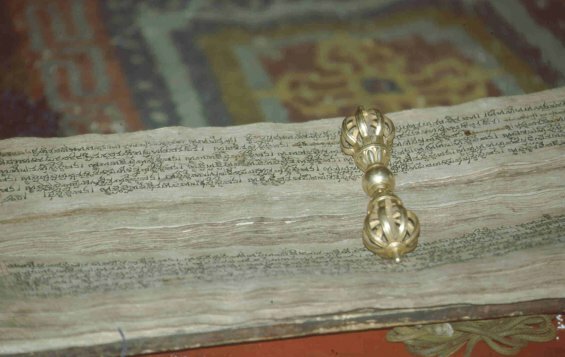 As in previous years, we expect to receive permission to approach the Kailash region along the ancient pilgrimage route through the North-West region of Nepal to Purang. For 6 days, we will walk along the Karnali river, passing through the beautiful nature of Humla (Western Nepal) to the Tibetan border. The old trading town of Purang will be the first station in Western Tibet. 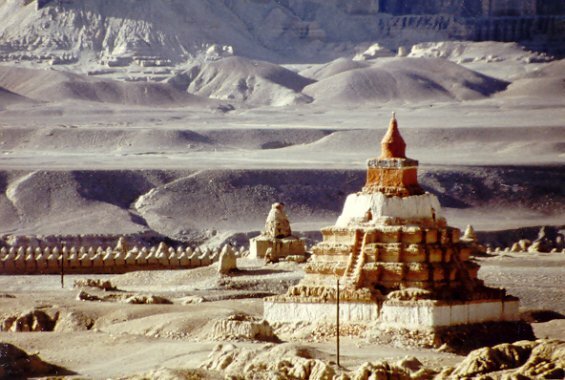 Upon returning from the ancient Guge kingdom, another particular highlight of our journey will be to visit the full-moon pilgrimage festival, that takes place in the months of May/June in Tarpoche, situated in the Western Valley of Mt. 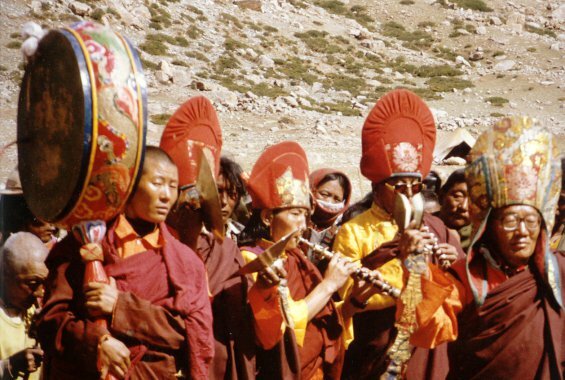 Kailash; and together with many Tibetans, we will celebrate Buddha´s birthday , his enlightenment and his Maha Nirvana. And finally, we will walk around the Holy Mountain in the company of many other pilgrims. The agenda for the following few days will include time for resting, walks around the lake Manasarovar and visits to the ancient monasteries of Seralung, Tchiu and Gossul. 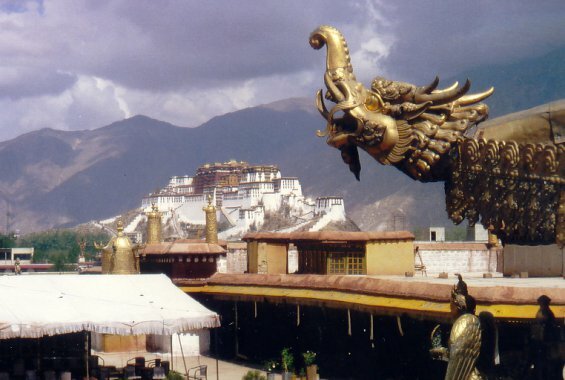 Due to our traveling experiences in Tibet (and especially the pilgrimages to Mount Kailash) and in response to many requests we have received, we have worked out an itinerary for this year, which allows sufficient time for acclimatization of the body and mind; some days have been scheduled for resting and to allow us sufficient time for dealing with any unforeseen events. The trekking route through Western Nepal should not be a problem for those with some physical training: we will cover achievable distances. We will not be hiking under time pressure, and will be able to enjoy the experience. 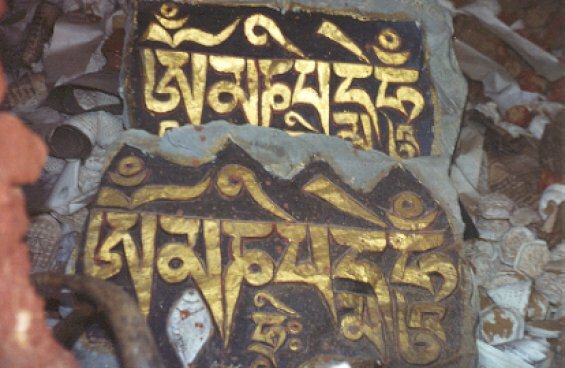 A day before the Sakha Dawa full moon festival in May / June, we will reach Darchen at the foot of Kailash. 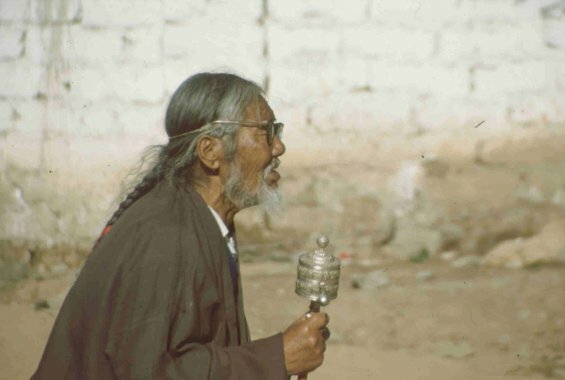 The next morning we will start our Kora, walking around the Sacred Mountain.